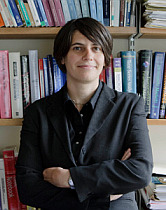 Professor Hélène Rey, formerly Princeton University now at London Business School, has become widely known with path-breaking research on international financial markets Integration, the development of a global financial cycle and the constraints this puts on the conduct of monetary and fiscal policy. In the first part of the interview, Helene Rey talks about the global financial cycle and its correlation with the volatility index VIX, an indicator for market fear, as well as the strong influence of US monetary policy. In the second part of the interview, she assesses the evolving policy mix in the Eurozone, consisting of tight monetary and fiscal policies in a phase of depressed aggregate demand.